Last night was a first for Landscape Live! LM Editor Marisa Palmieri was our very first guest host. She did an incredible job interviewing Jason Cupp, Kolbe Certified Growth Expert, located in Kansas City, Mo. 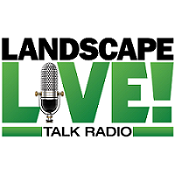 During his interview Cupp gave a great example of a landscape company that has an excellent employee retention rate. In other words, its employees stay with this company for not just one, two or three years but 10, 15 and 20 years. Why? This landscape contractor has created a culture that cares about its workers, creating a family environment that encourages these employees to want to work and do the best that they can. These workers don’t necessarily get paid more than employees at other companies, but it has a refrigerator in the break room that’s stocked with snacks and drinks for the employees to make sure that they eat and stay hydrated and happy during the day. What a simple, cost effective concept that keeps these employees coming back year after year. Guest: Jason Cupp, Kolbe Certified Growth Expert, Kansas City, Mo.